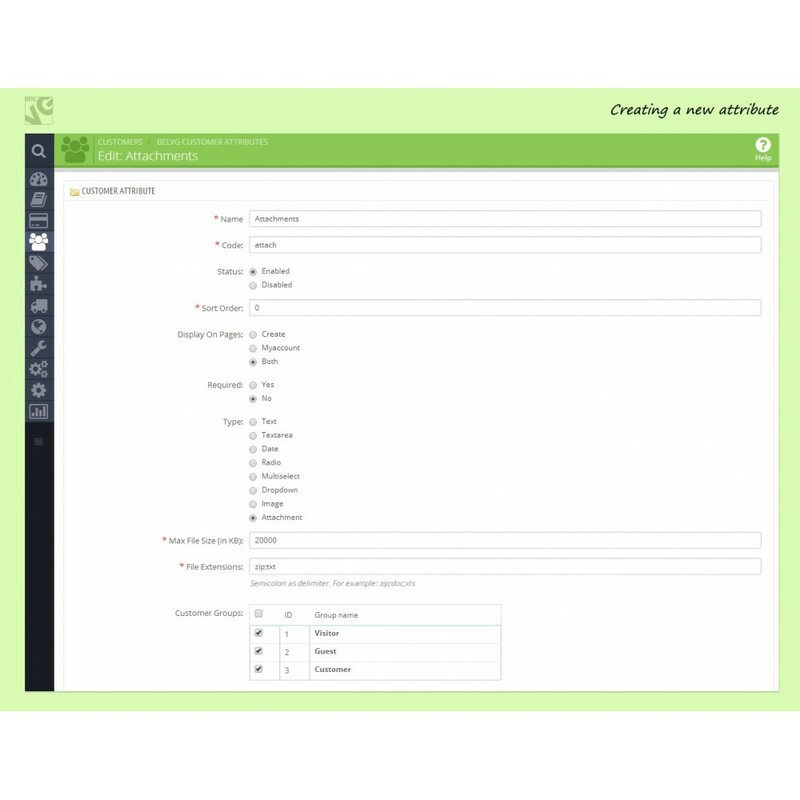 Customer Attributes and Registration Fields module lets you create new attributes and add them as additional fields into the registration page and customer account pages. PrestaShop Customer Attributes and Registration Fields lets you create new attributes and add them as additional fields into the registration page and customer account pages. 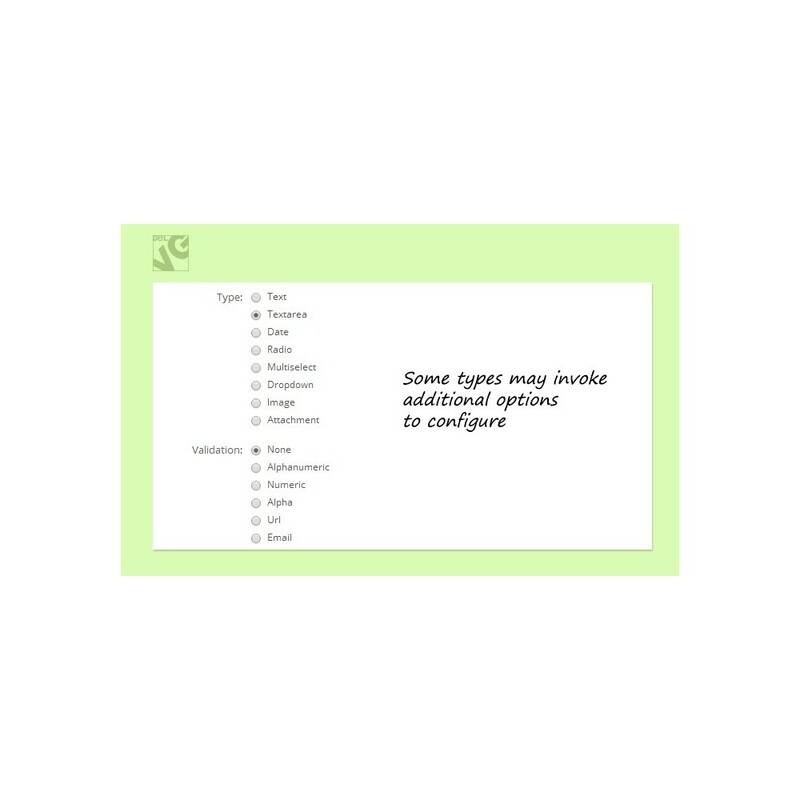 You can add up to 8 fields of different type and mark them either as required or optional fields – up to your choice. 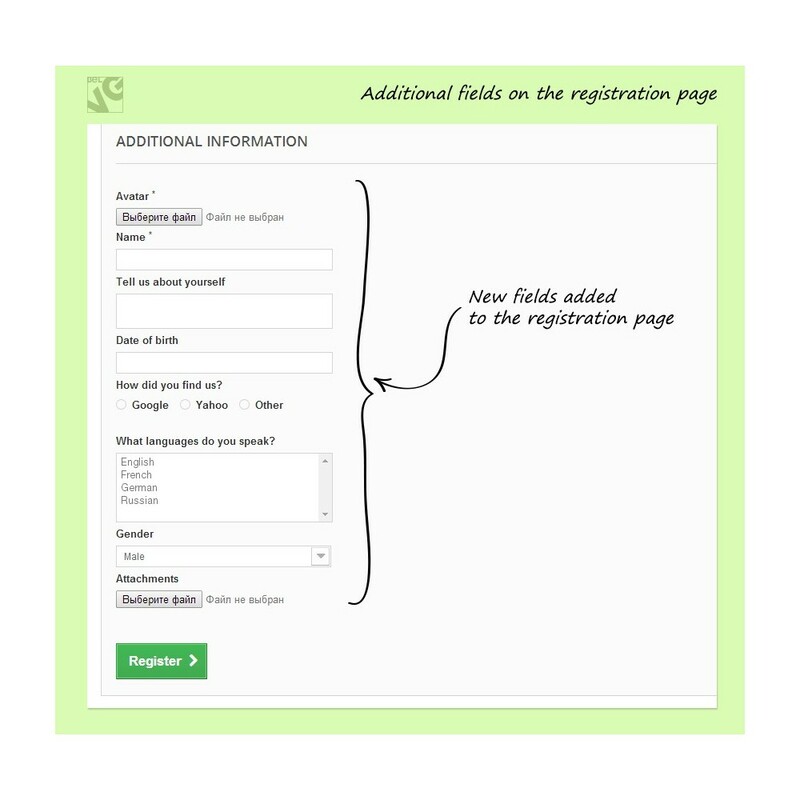 Customer Attributes and Registration Fields provides an easy way of creating new attributes and adding them as new fields into the registration page. If you need to collect more information about the customers who are registering on your store – this is exactly the module you need to use. 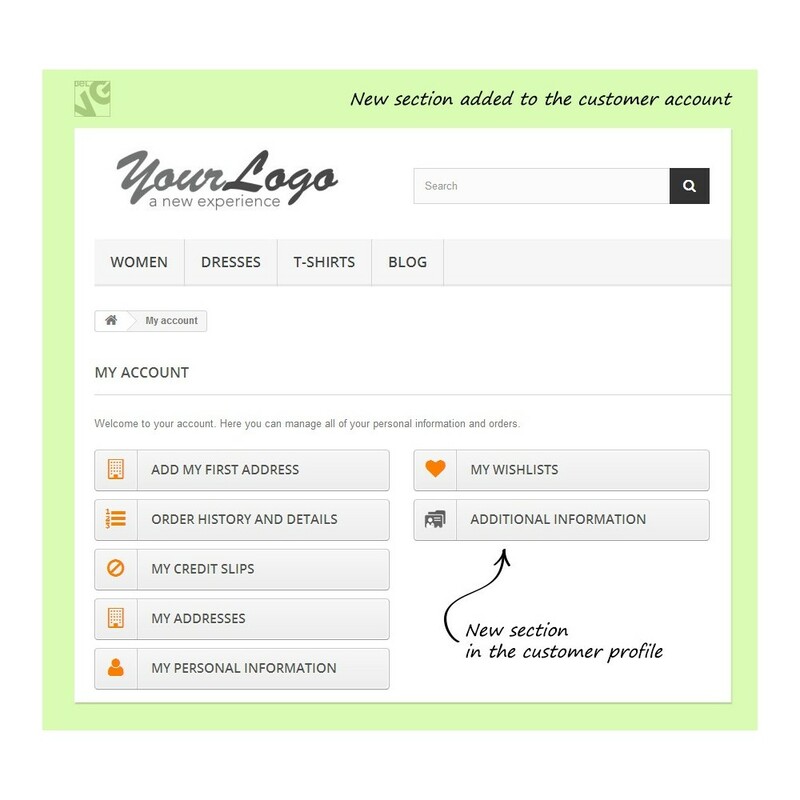 The extension does not require any additional configurations – within a few simple steps you can create and place additional fields on your registration page and even select to what customer groups these attributes will be applied. 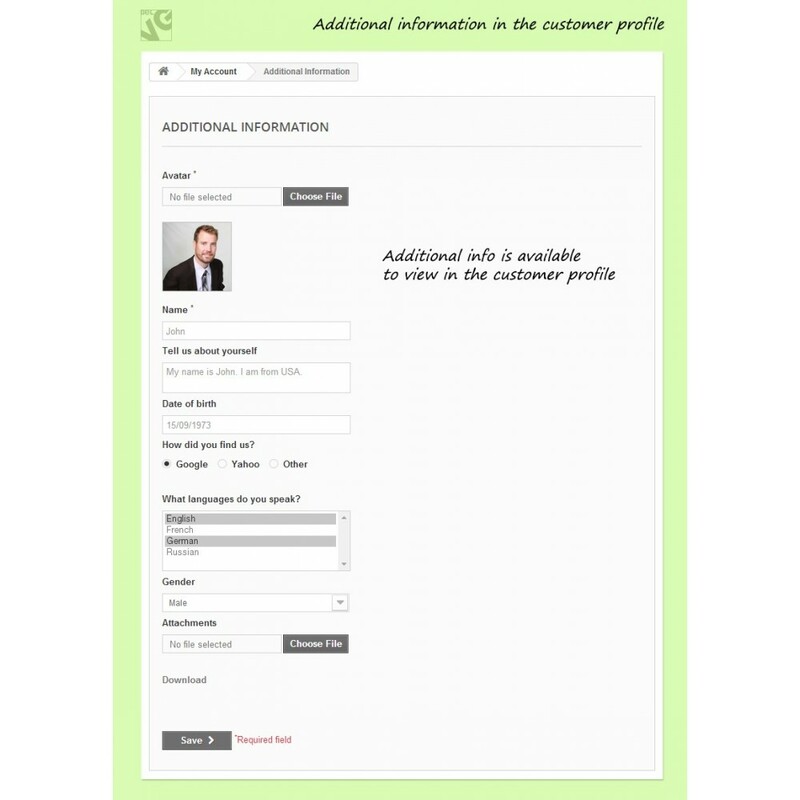 All information is saved directly in the customer profile, so you can view it right in your administration panel. 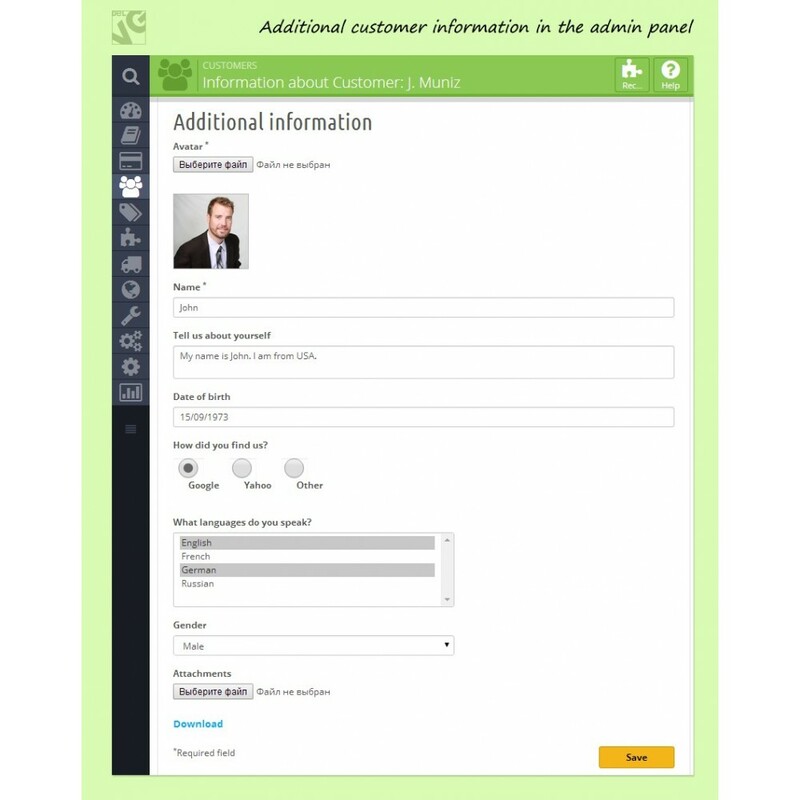 Information from the additional fields is saved and available to view in the admin panel and for the customer on his profile page.